Domosedan Oromucosal Gel. 3ml syringe. Domosedan Gel is an oral sedation gel. It contains the active ingeredient Detomidine hydrochloride, a drug commonly used by veterinarians by injection to cause sedation. 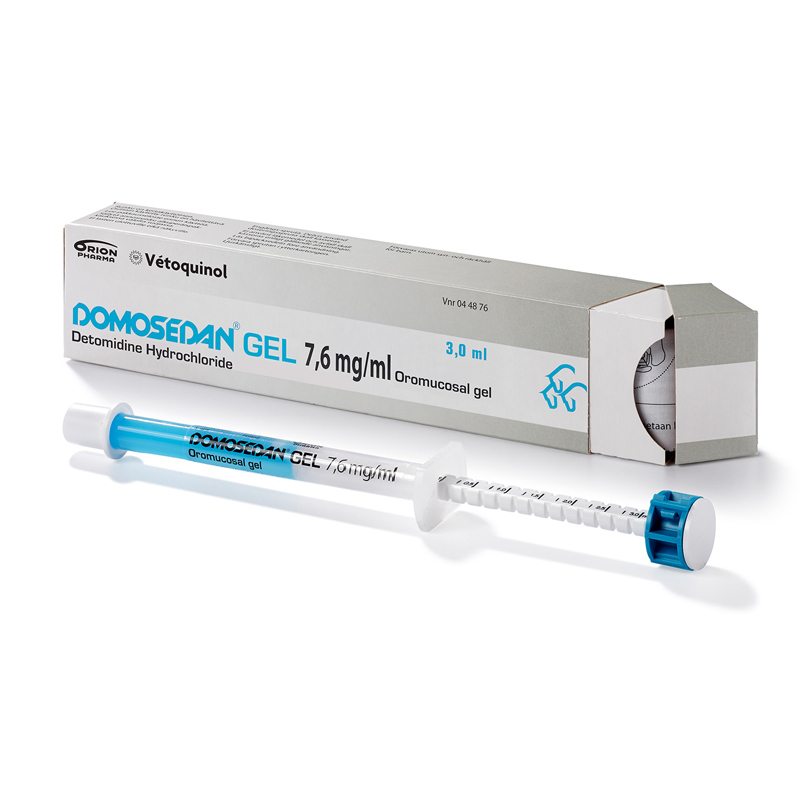 Domosedan gel is given sub-lingually (underneath the tongue), as it works by being absorbed through the lining of the gums (mucous membranes), rather than being swallowed. Horses should be kept in a quiet place for at least 30-40 minutes after administration. It can produce sedation in horses to facilitate procedures such as clipping & shoeing, as well as veterinary procedures such as rasping teeth & radiography. The sedation can last upto 2-3 hours. Warnings & Contraindications- Even though they appear deeply sedated, some horses can still respond to external stimuli, so care should always be taken, eg around hindlimbs. Do not offer food or water until sedative effects have completely worn off, otherwise there is the potential for the horse to develop choke. 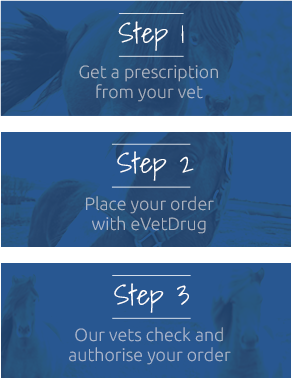 Do not give to horses with known hypersensitivity to Detomidine or who have heart, liver or kidney disease. Wear gloves whilst administering. Pregnancy & Lactation- Seek advice from your vet for use during pregnancy & lactation.